The California Lemon Law (officially known as the Song-Beverly Consumer Warranty act, found in California Civil Code sections 1790 et seq.) is a law designed to protect consumers who purchase or lease warranted motor vehicles. If it is determined that a motor vehicle is a “lemon”, the motor vehicle’s warrantor must repurchase or replace the motor vehicle from the buyer. The Lemon Law commands that if a vehicle manufacturer or its authorized dealer(s) cannot properly repair a material defect in your vehicle while it is under warranty after “a reasonable number of attempts”, the manufacturer must either promptly replace your new vehicle or refund your money, at your choice. The Lemon Law applies to all vehicles (including trucks and recreational vehicles) purchased or leased in the State of California and under the manufacturer’s new vehicle warranty. A “material defect” is defined under the Lemon Law as something which “substantially impairs the use, value, or safety of the vehicle”. Most mechanical or drive-ability problems will qualify under this standard. The more serious the defect, the fewer number of repair attempts will be necessary to qualify the vehicle as a “Lemon”. What constitutes a “reasonable number of attempts” at repair is a question of fact that can only be answered on a case by case basis. However, as a guideline, the Lemon Law states that if within 18 months or 18,000 miles of use, whichever occurs first, either the same material defect has been subject to repair four or more times, or the vehicle has been in the shop by reason of repairs for material defects for a cumulative total of more than 30 calendar days, then the vehicle is “presumed” to be a lemon. In addition, for vehicles purchased or leased after January 1, 2001, if the vehicle is repaired two times for a defect that is likely to result in serious bodily injury or death, the vehicle is “presumed” to be a lemon. Keep in mind, this is only a guideline; any vehicle which is not properly repaired while still under warranty after a “reasonable number of attempts” may qualify as a lemon, regardless of length of ownership or mileage. Therefore, with today’s lengthy warranties, it is possible that a vehicle will qualify under the Lemon Law even though it may be three or four years old and have been driven 50,000 miles or more! 1.) The vehicle must be used some of the time for personal, family or household purposes. If a vehicle is used exclusively for business purposes, the Lemon Law will not apply, but other laws may provide certain remedies. 2.) The vehicle must have problems covered by a warranty. There is a simple rule: no warranty means no Lemon Law case. 3.) The warrantor must be unable to repair the vehicle’s warranty problems after a reasonable number of repair attempts. What constitutes a reasonable number of repair attempts will vary depending on the problem. For example, if a vehicle’s brakes fail, two repair attempts may be enough to establish a reasonable number. Generally, safety-related or drivability concerns will require fewer repair attempts than those which are not safety-related or affect drivability. However, only one unsuccessful repair attempt is never sufficient to establish a lemon law claim. Also relevant to determining whether there has been a reasonable number of repair attempts is the number of days the vehicle is out-of-service due to warranty repairs. The more days out-of-service, the better the chance of establishing a reasonable number of repair attempts. There is a common misconception concerning the Lemon Law, that it only applies to vehicles that are less than 18 months old or have less than 18,000 miles. This belief is not true! The Lemon Law will apply to a vehicle regardless of how old it is or how many miles is has, so long as the vehicle is having problems that are under warranty. Even if the warranty has expired, the Lemon Law may apply. 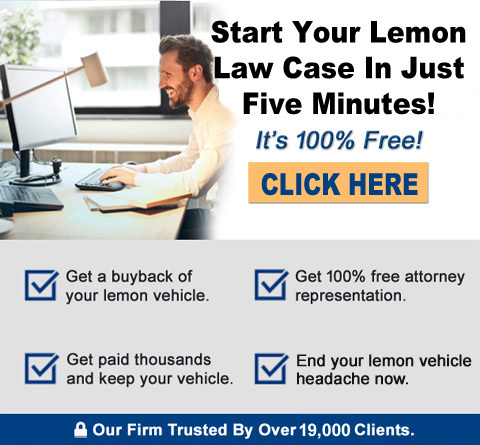 If the vehicle is still having problems that were complained about and never properly repaired during the warranty period, a valid Lemon Law claim may exist. 4.) The vehicle must contain a problem covered by the warranty that substantially impairs the vehicle’s use, value or safety to a reasonable person in the position as the Buyer. The Lemon Law, generally, will not apply to vehicles with trivial or minor defects. Nevertheless, each case must be judged independently taking into account the particular needs and expectations of the particular vehicle’s owner/lessee. If the above mentioned elements are met, the vehicle is a lemon. The vehicle’s owner/lessee will be entitled to a replacement vehicle or a refund of the vehicle’s purchase/lease price. Vehicle Warranties: California has very specific rules on what defines a warranty. A factory warranty is something that is given to the consumer at the time of sale. The warranty can be a “new car warranty”, a “used car warranty”, or a “certified pre-owned” warranty. What all of these warranties is that they are provided and administered by the automobile manufacturer. The next category of vehicle warranties are “dealer warranties”. These “warranties” have no connection or affiliation with the “factory warranty”, and are between the BUYER and the SELLING DEALER. The manufacturer has no liability for the selling dealer internal warranties. The final category of vehicle warranties are “extended warranties”. These “warranties” are valid in many other states, but NOT in California. California has its own rules that govern these “warranties”. In fact, these are not warranties at all. In California, these must be called “mechanical breakdown policies”, “service contracts” or other titles that do NOT use the word “warranty”, as you cannot purchase a warranty in California on a motor vehicle. Many automobile dealerships mislead consumers by calling these contracts “warranties”, but they are not, and have no applicability to California Lemon Law. So, it does not matter what a dealer calls it – if the word “warranty” is not on the face of the application form, then it is NOT a warranty. Consumer rights in the California Lemon Law: All consumers have the same rights under our California lemon law, whether the vehicle was purchased or leased, is new or used, as long as it’s covered by a warranty. Consumers should realize that automobile manufacturers, though they will often make gestures of goodwill in an attempt to bolster customer loyalty, are at heart still businesses. They are there to make money – not give it back. Though automobile manufacturer’s should buy back offending vehicles that meet lemon law state statute guidelines automatically by reviewing the dealer-submitted warranty repair claims, most of the time they do not. In most all cases, application of the California lemon law is a consumer-driven event. Consumers will hire lemon law attorneys to ensure that the manufacturer conforms to their legal duties.